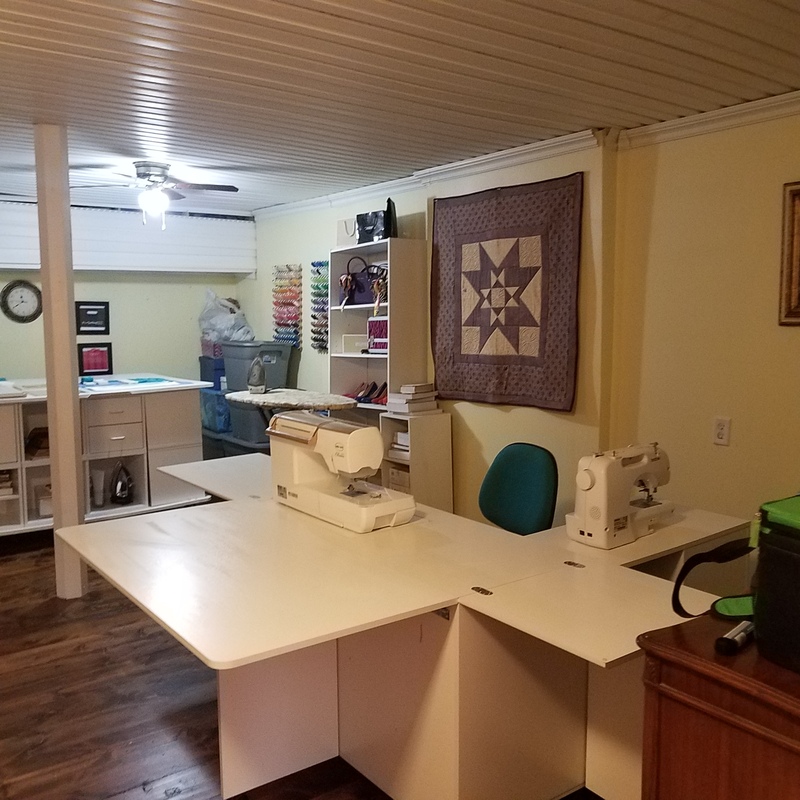 My sewing room was flooded due to a broken pipe and we finally got it done but I am only using half of it since I have a lot of my son's belongings stored until their house is remodeled. Not sure why the second picture turned on its side... it was right side up when it was attached. That looks terrific! All cleaned up, organized, and decorated. Happy for you. ​Sorry you had to go through that but it looks super now! That's an awful experience. Sorry you had to endure it, but the end result is sure fabulous! 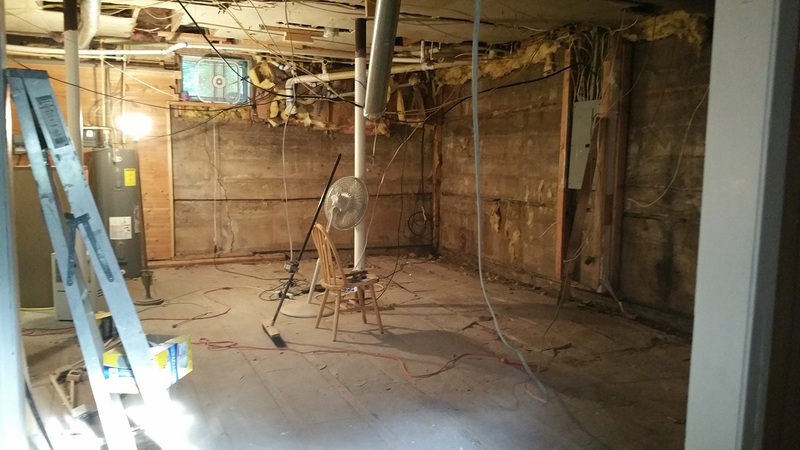 It looks like a great space to be creative. tinker...my daughter and I did most of it, but my husband helped...lol the top and bottom pieces were really heavy. It was made with all premade storage units from amazon and 2 sheets of melamine from the lumber yard, added some wheels and it has worked great. 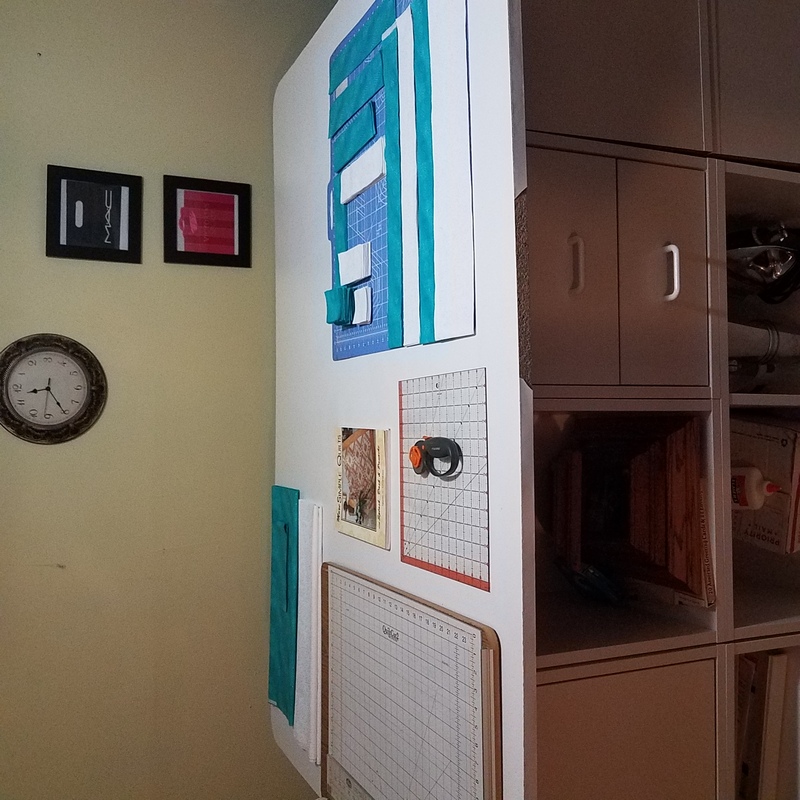 I don't have to layer quilts on the floor anymore! I’m sorry you had to go through the experience of a flood but your remodeled space looks wonderful. I like your flooring and workspaces. I’m sure you are happy to have your space back. You still have a very nice setup and you say this is only half the area???? Wow!!!!! Sorry about the flood, but your new space is lovely! People will see your quilts long after you're gone - NOT your housework! What did you use for the ceiling? It really looks nice. Every cloud has a silver lining! Great idea on the choice for ceiling finish. I have unfinished ceilings in my basement...this may be a good choice for me as well. Wow! Your half of your new room is great! Bummer you had to have a flood experience. I'll have two of the 'after', please. Wow, what a difference! Enjoy!